When my big kids were little we used to use something we called “nose medicine” when we were stuffy, most people call it Vicks® Vapor Rub. It works great, but we decided to stop using it for a several reasons. 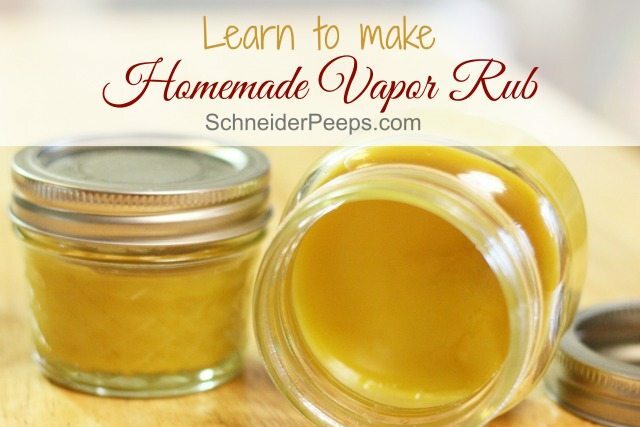 Now, I make homemade vapor rub salve for our family using essential oils, carrier oils, and beeswax. The main reason we stopped using Vicks® Vapro Rub is because it contains petroleum jelly. Even though government regulating agencies say that it’s safe for cosmetic use, I feel weird about putting petroleum on my sick child. Especially when there are better options made with oils that are not only safe for external use but also safe for internal use. The other reason we stopped using it is because I would forget to buy it. It’s not something on my normal shopping list and then when we needed it, I didn’t have it. There’s nothing worse than having a child who can’t sleep because he’s congested and you forgot to restock the vapor rub. Over the years, I’ve learned that I’m able to better serve my family when I keep ingredients on hand instead of single use items. Since I keep ingredients stocked, I can just make whatever we need and the ingredients can be used for many items, not just one. This works for me in the kitchen and in the apothecary. 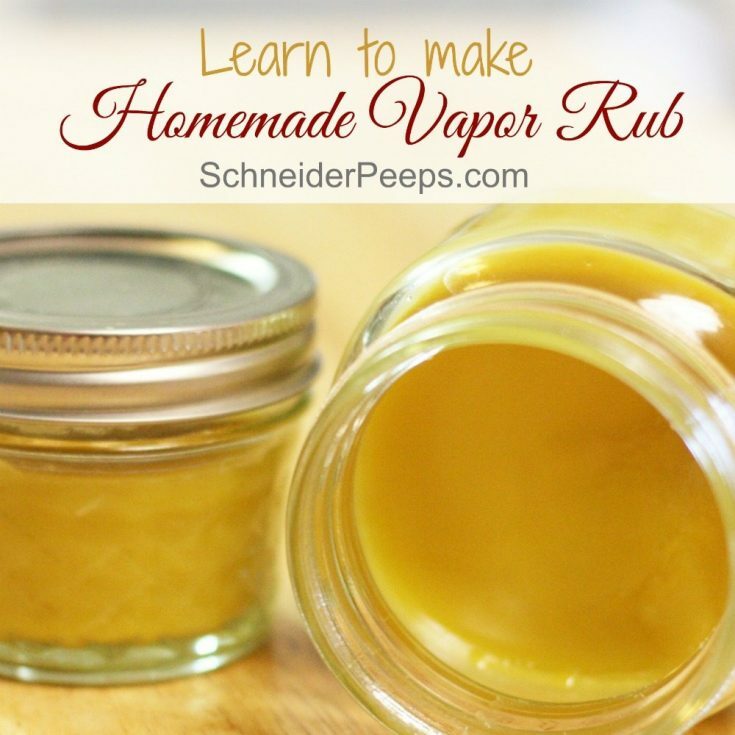 So, I learned to make homemade vapor rub with natural ingredients I already keep on hand. 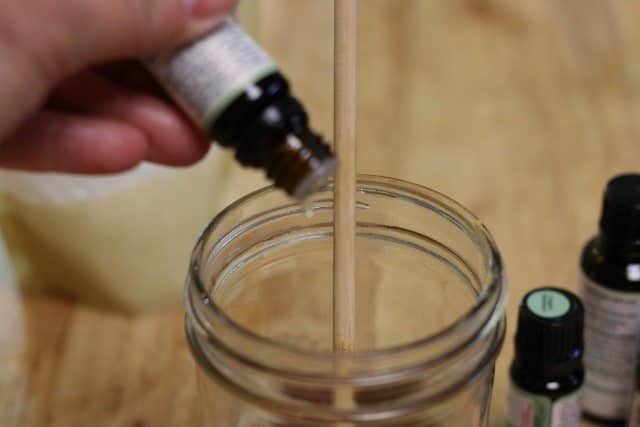 I want to share with you my super easy, no mess way of making vapor rub. 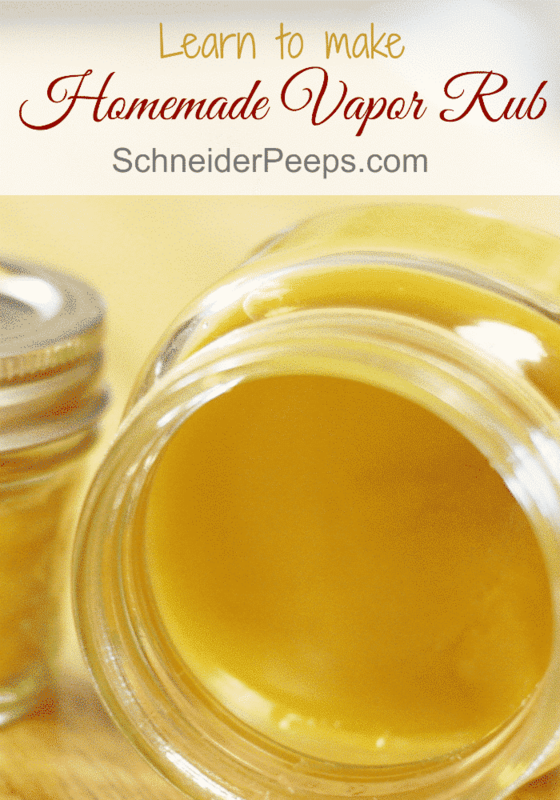 It’s easy enough that you can just make it when you need or you can go ahead and make a batch to keep on hand for cold and flu season. I use a make-shift double boiler to make my salves and infused oils and I do the same thing for vapor rub. 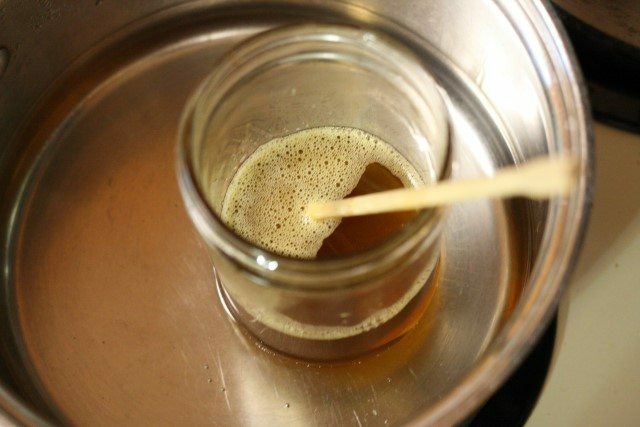 Just fill a pan with an inch or two of water and put your infused oil or salve ingredients into a canning jar. I always like to see what the final consistency will be before I finish the product. I put a few spoons in the freezer when I first start so they are nice and cold by the time I want to test the consistency. Just dip a frozen spoon into the mixture and let it cool on the spoon. Then rub the mixture onto the back of your hand (or where ever) and make sure you like the consistency. If it’s too soft, you can add more beeswax. If it’s too hard you can add more olive oil. 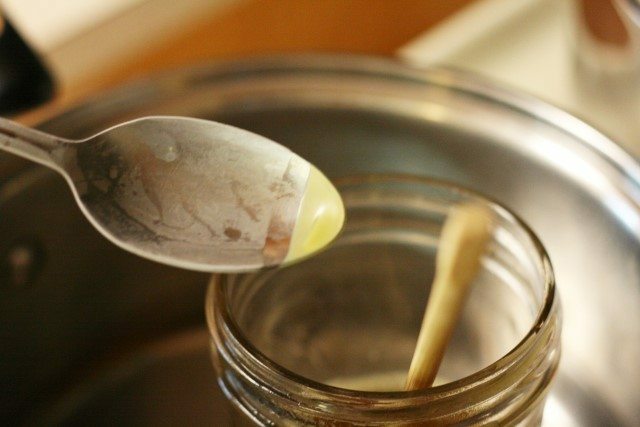 Once the beeswax and shea butter are melted, remove the jar from the heat and allow it to cool for a few minutes. Once it’s cooled a bit add essential oils and menthol (optional, but we like it). Over the years I’ve used a lot of different brands of essential oils. 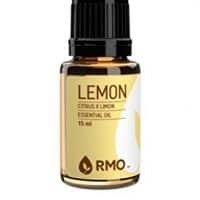 I’m now in the process of just using Rocky Mountain Oils. 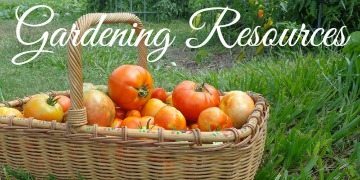 They have quality oils and make each batches GC/MS test results available, they also practice environmental sustainability in harvesting, packaging, and recycling. These are things that are important to me. But truly, there are many good essential oil brands out there. Pour into jars (I just use mason jars because that’s what I have but colored jars are a better choice if you need to buy jars) and label. 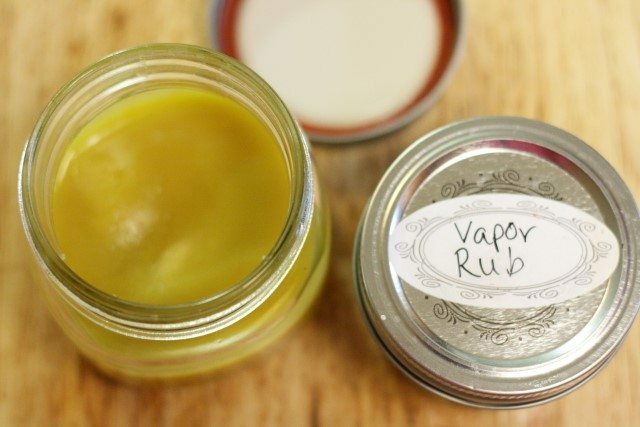 You now have your very own homemade vapor rub. When congested, rub on the chest and breathe deeply. Even though our family calls this “nose medicine”, it’s not to be used in the nose. I would also be careful using this under the nose, especially with young children or those with sensitive skin. 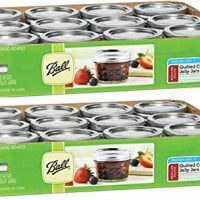 Put infused oil in a double boiler, I like to use a make shift double boiler by putting a canning jar with the oil in a small pan of water and heating up the pan. Once the beeswax and shea butter is melted and the consistency is how you want it, remove the pan from the heat and add the essential oils. Give it a stir and pour it into small jars. Make sure to label the jars. A note about Eucalyptus: There are three varieties of eucalyptus that you can use in this rub. Eucalyptus globulus is the strongest of the three and good for adults and teens. 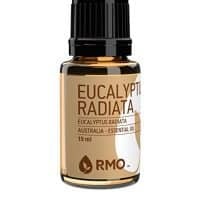 Eucalyptus radiata is a good general use eucalyptus and can be used on anyone over two years old. 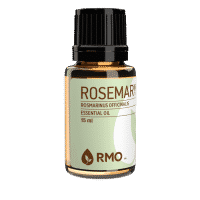 Eucalyptus smithii is the one that is not contraindicated for small children and is the best choice if you are going to use this on babies or toddlers. This being said, I would not use this product on children under 6 months without consulting with a trained herbalist or aromatherapist. To learn more about making remedies for cold and flu season, enroll in our new Simple Remedies for Cold and Flu Season ecourse today. 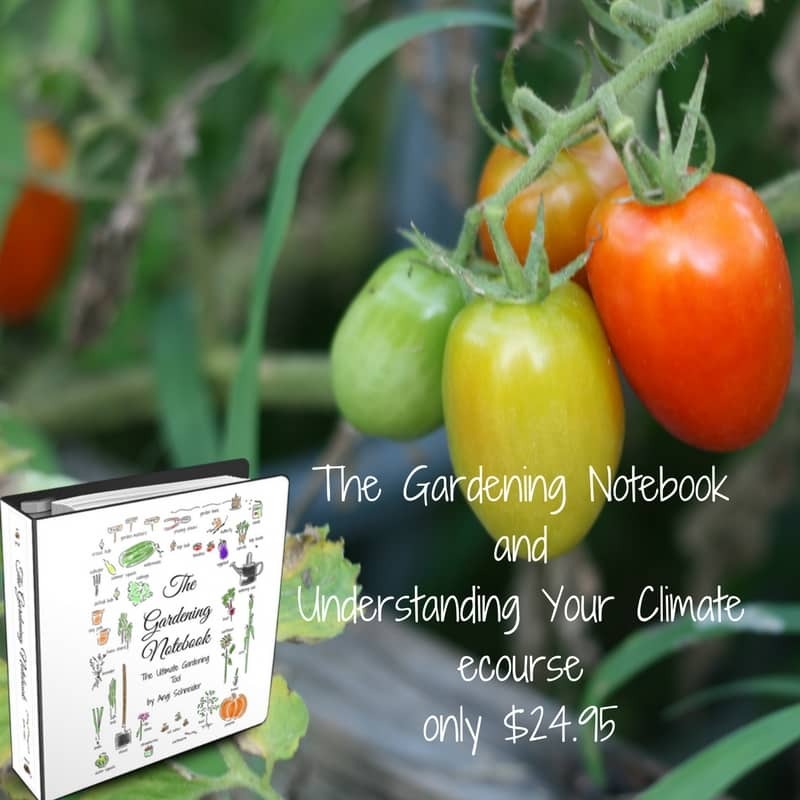 Are you getting ready for cold and flu season? Was wondering about the pine infusing..pine what? Pine needles infused oil. You can use a few drops of pine essential oil if you don’t have access to pine needles. 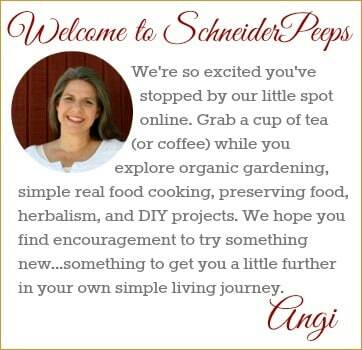 There’s a link in the post to a tutorial for how to infuse oils. Why can’t you use it under your nose? That is the only way I use regular vapor in!! Some of these essential oils are pretty strong and can cause burning, our family doesn’t use it under our noses because of that. The nasal passages are pretty sensitive and I don’t want to do any thing that will irritate them cause them to produce more mucous. Of course, you can do whatever is best for your family. Can you use coconut oil, in place of shea butter? 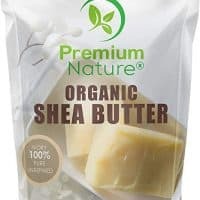 Shea butter inflames my dermatitis. Absolutely. You could also use cocoa butter. Really any butter or firm oil to give it some thickness.